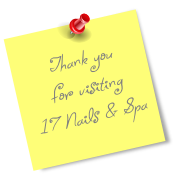 At 17 Nails & Spa, we're committed to use only the highest quality products and maintaining the best sanitation! 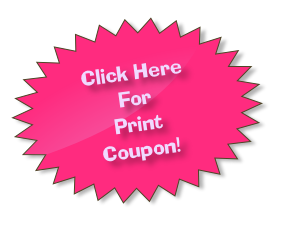 disinfection procedures possible in order to offer you a safe & comfortable environment. For your convenience, we have described our daily sanitation procedures for many of the materials and implements that you come in contact with throughout our services. If you have any questions regarding our sanitation procedures, please do not hesitate to ask. Metal implements are scrubbed with a clean nail brush and anti-bacterial soap, rinsed and placed in an EPA registered Hospital-grade disinfectant for a minimum of ten minutes and sterilized in an autoclave. The nail brush is then rinsed and disinfected as well. The disinfectant is changed regularly so that the solution is always a clear blue-indicating it is still effective. The manicure table is sprayed with an EPA registered hospital-grade disinfectant between each client. Pedicure wash tubs are scrubbed with a chelating soap with water to remove all visible debris, rinsed sprayed with a hospital-grade disinfectant and left to dry. Beside the procedures to disinfect the tubs after each client, we also follow the State Board of Cosmetology instructions to disinfect the pedicure wash tubs at the end of each day and perform the additional procedures recommended once a week. To ensure the safe environment for both you and the technicians, we also used the Sani- Tablets to disinfect the water in the tubs. Both client and technician sanitize their hands with antiseptic hand gel before each service.